This has to be my favorite invention of all time. My juicer. 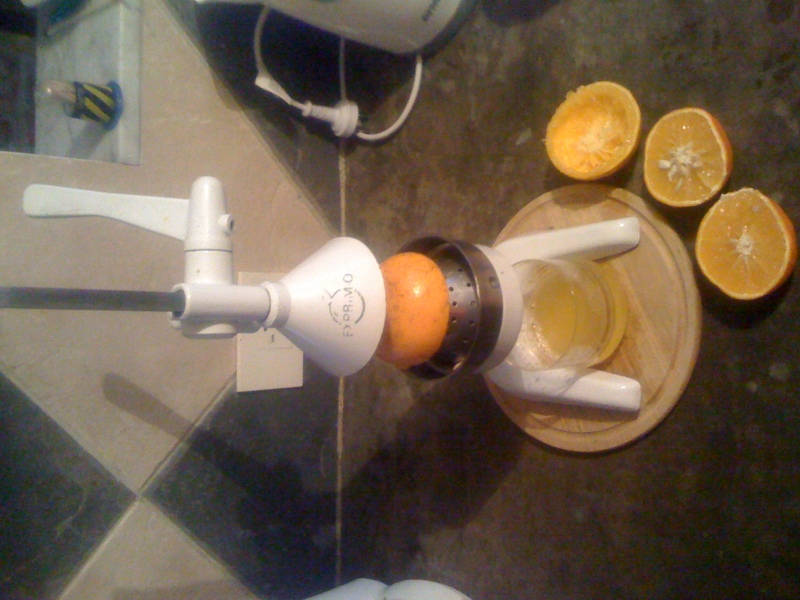 It works as a simple, easy, no mess citrus press. Just halve an orange, place in the press and turn the crank! The Exprimo is extremely simple, consisting of three separable pieces. It is so easy to clean, requires no electricity and provides fresh squeezed orange juice whenever my little heart desires. I cannot believe I never owned one of these before! It’s the simple things in life…!